Whirlwind's MK425 is part of their MK Series of quality mic cables. 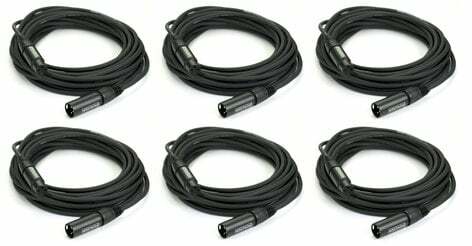 At 25 ft.
Whirlwind's MK425 is part of their MK Series of quality mic cables. At 25 ft. in length, they are built with Accusonic+2 cable and fitted with Whirlwind XLR connectors to ensure superior performance day after day, year after year. They're extremely flexible, resistant to handling microphonics, and dependable under even the roughest conditions. The Accusonic+2 cable component features finely-stranded center conductors with braided shield, providing for superior noise rejection. 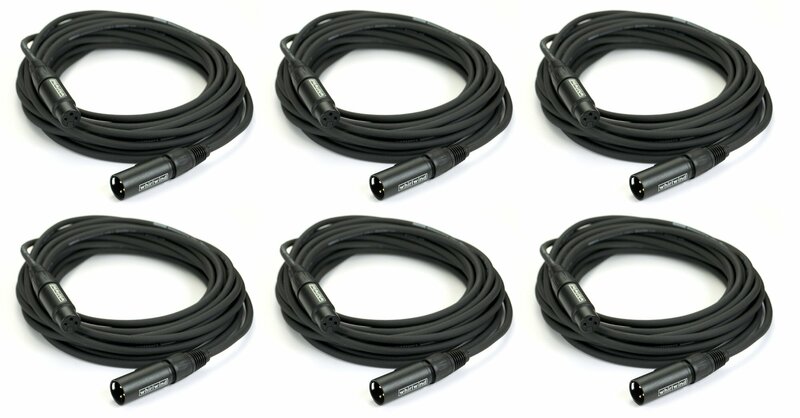 This Full Compass exclusive bundle includes six Whirlwind MK425 Heavy Duty XLR Microphone Cables, providing our customers with a great value at a great price! Please contact your Sales Pro with any questions. Full Compass is offering this exclusively at a special price of $199.99! than if you bought each item separately! Price shown on the MK425-PK6-K Bundle product page reflects the special pricing. For more information on this and other Whirlwind products, please contact your Sales Pro at 800-356-5844. Offer good between 05/08/2018 and 03/30/2020	 Check Out The MK425-PK6-K Bundle!